If you're looking for a handy tool that can help you teach basic concepts of home safety, the PowerPoint presentation featured here can be a great resource for you. 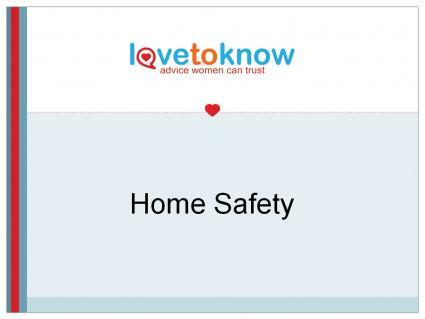 Whether you are teaching a class or workshop on home safety or you want a structured format to help convey important safety information to your children and others in your household, this presentation can very helpful. Click the image to download a home safety presentation created in PowerPoint. When you click the image, your system will begin to download the presentation file. A dialog window asking what program the file should be opened with will appear. Navigate to PowerPoint using the drop down box and click "OK". The presentation file will open in PowerPoint. Save it to your hard drive or external storage device. Make any changes that you want, or use the presentation exactly the way it is. Once you have saved the PowerPoint file to your computer and have made any changes that you desire, you'll have a structured tool that you can use to help you teach others the basics of home safety any time that you need to do so.